Would you like to actually surprise your husband with a present on your anniversary, fathers day, his birthday or Christmas morning? This Ebony and Rosewood beauty really scored big in his book though! 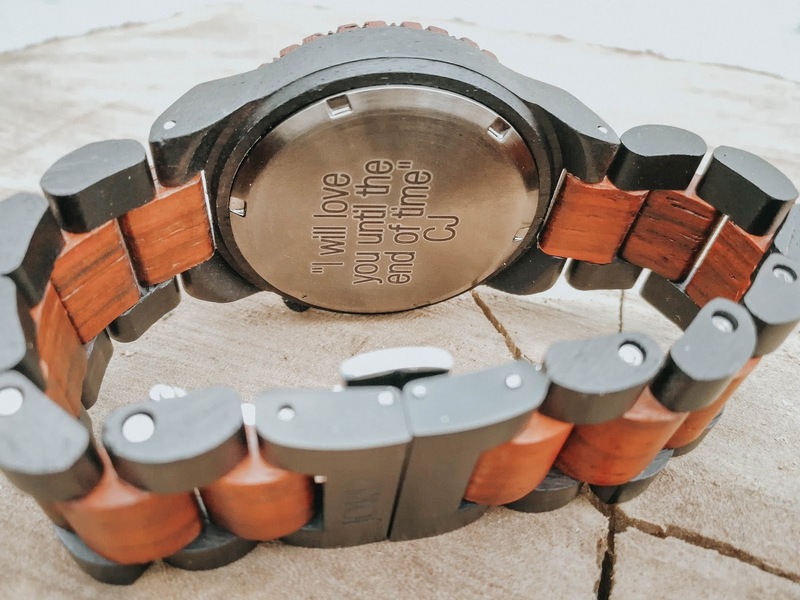 A wooden watch is such a unique conversational accessory for a man. JORD’s wood watches are eco-friendly and feature 13 different types of wood. They have a large selection of men’s and women’s watches and there are many styles and color options to choose from. Wood is truly an attractive resource to be used in the making of a watch and because there are no two wood grains that are the same, the tones and grains in your watch will be unique to you alone. Wooden watches are still such a statement piece because they have not yet oversaturated the market. It's not the average accessory that you will see everyone with. 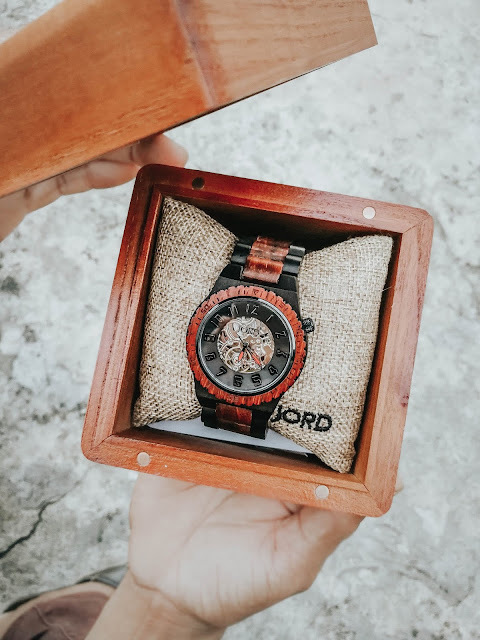 Better yet if you are allergic to jewelry due to chemicals and nickel that is commonly used to create generic watches you can always count on a wooden watch like JORD. They use only 100% natural wood and they refrain from the use of toxic chemicals to either treat or protect the wood. 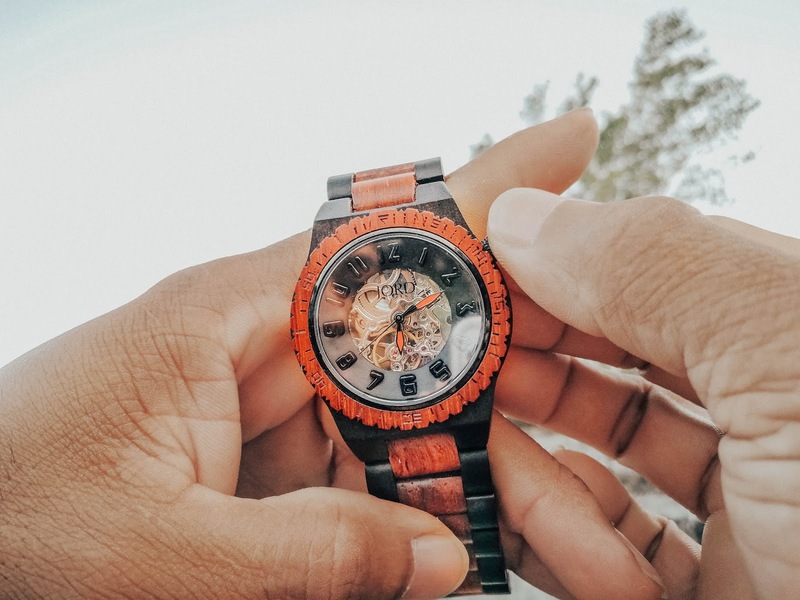 One feature that makes their watches stand out from a generic quartz watch is that some of them are mechanically powered and do not use a battery. This means it gains its energy from wound springs, trains of gears and the rhythmic movements of the wearer. This is a feature that sets it apart and makes it such a timeless investment in the long run. If you are looking to invest in your first wooden timepiece, now is probably a good time. 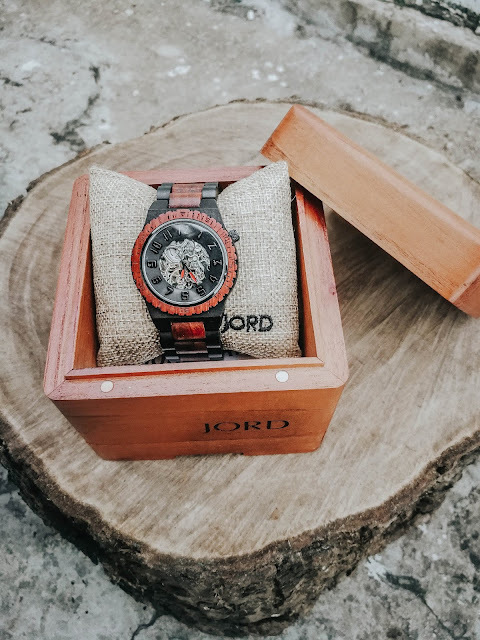 JORD also offers the option to customize your watch with a personalized engraving on the back plate. Getting a watch engraved is a thoughtful way to make your favorite timepiece personal. Whether you're getting your own initials inscribed or a quote to a loved one, an engraved watch leaves a lasting impression as well as providing a functional gift that can be used almost every day! Jord is giving a $100 discount for any of you who might be interested in getting your spouse or yourself a timeless gift like this! 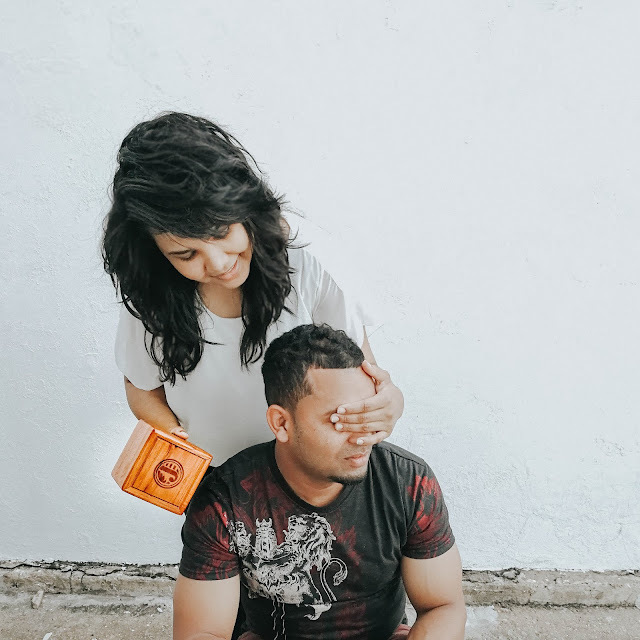 QUESTION: What fun gifts have you surprised your spouse with? Oh I love the personalized engraving on the back plate. This would be one of the best gift for men. Thanks for sharing ♥️ ♥️ Hope you can check out our Instagram Auditor at Phlanx.com, where it helps you check your Instagram account for fake followers and likes! I love Jord watches. I got my husband one for his first fathers day and he loved it. The costumer service is amazing too! Love these watches! This is a great idea, my husband is hard to shop for... but he would love this!